10 Pc. Best Ever Balance Beam. 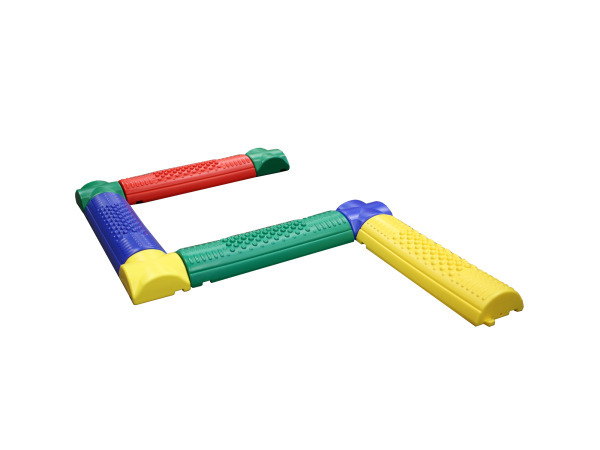 Use the connectors to make a straight line or right angles. Made of quality hard plastic. Includes 5 beams and 5 connectors. Beams, 17 3/4" long, 5" deep, 2 3/8" high; connectors, 5 1/4" square, 2 3/8" high. Fully assembled, 8 ft. 10".